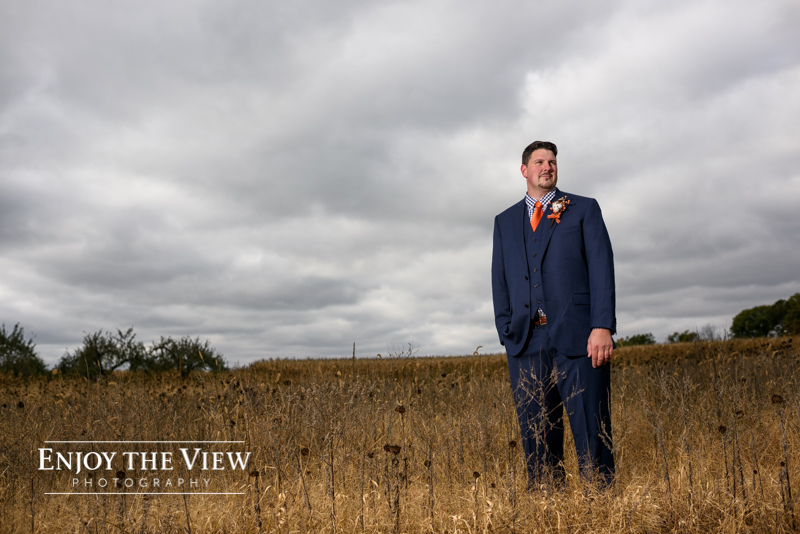 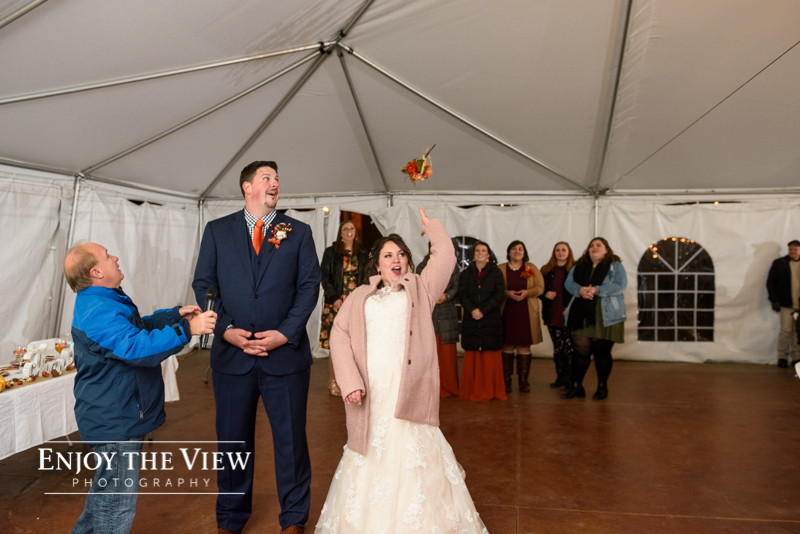 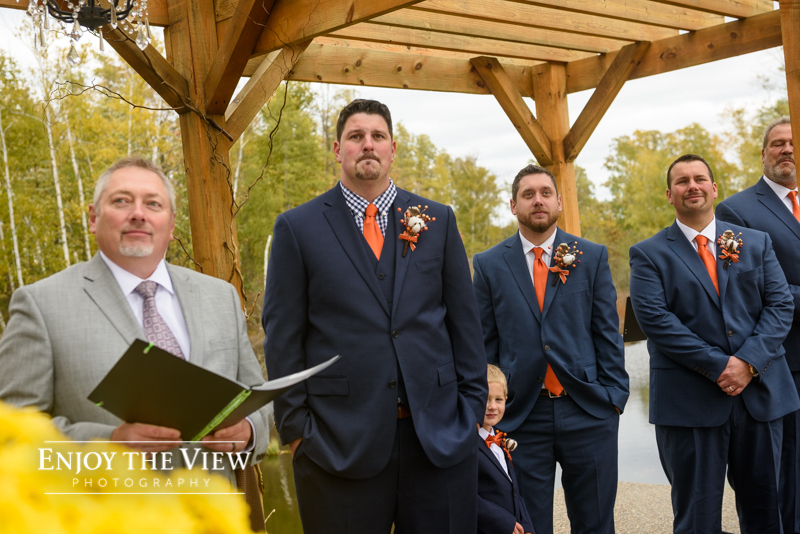 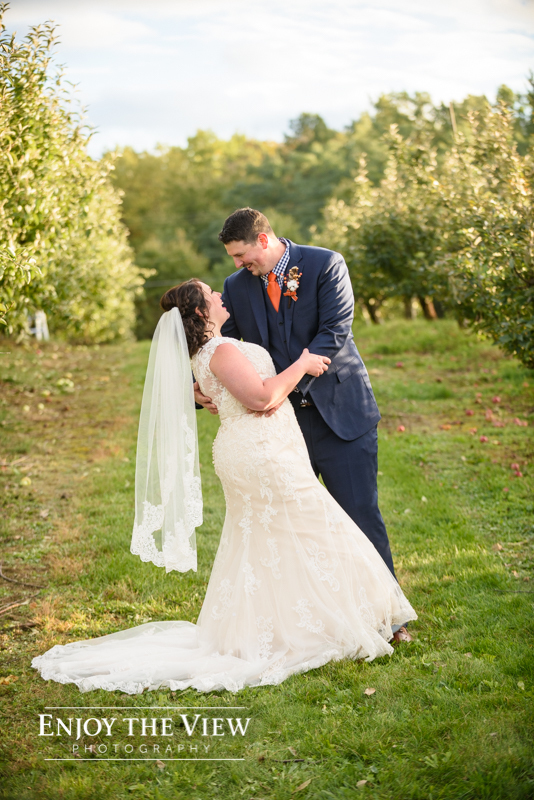 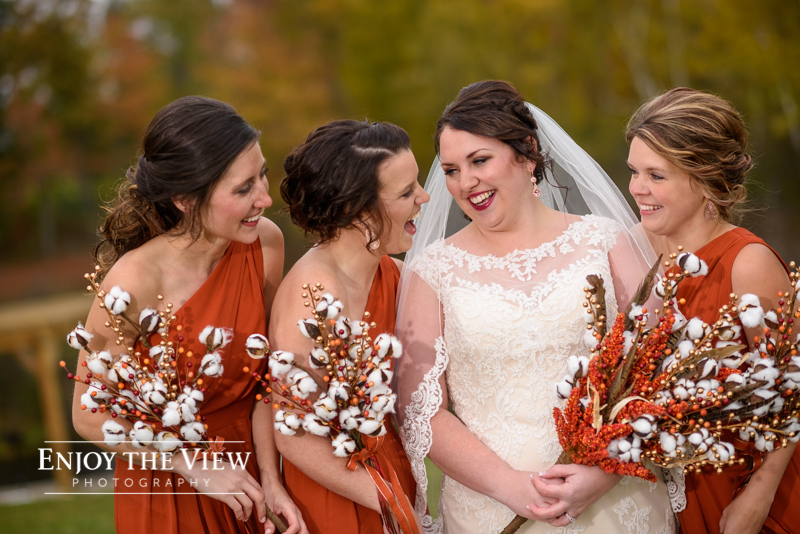 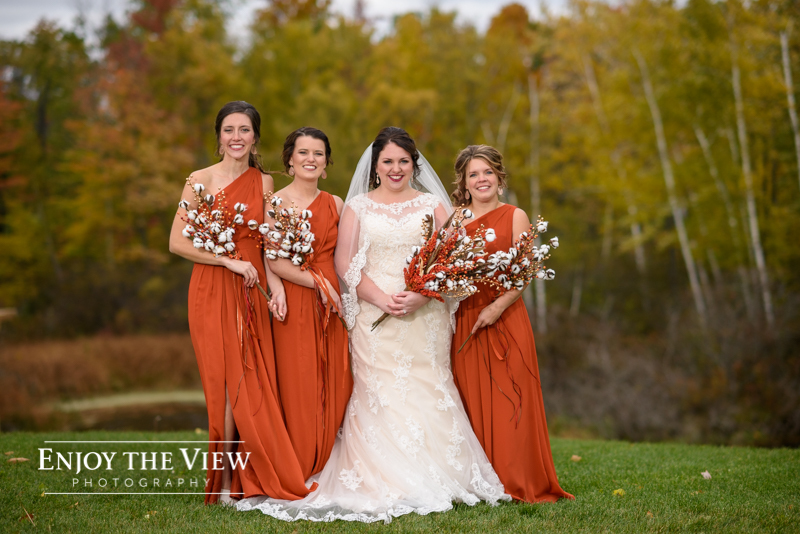 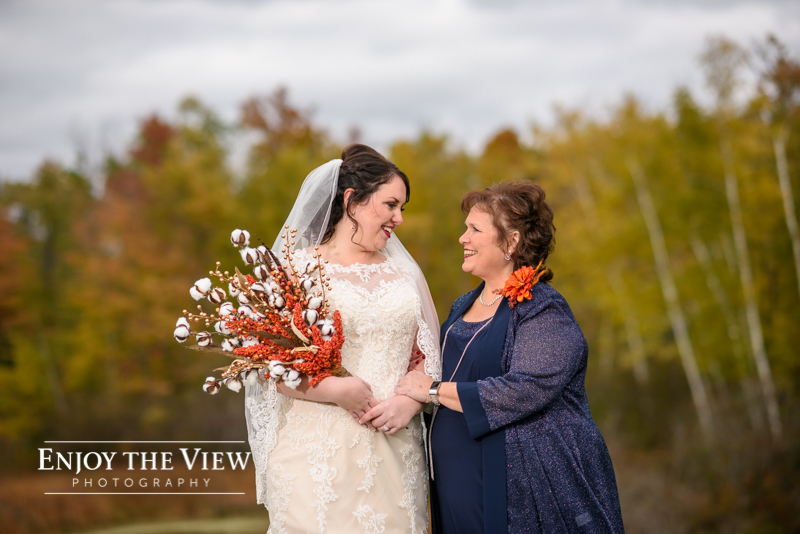 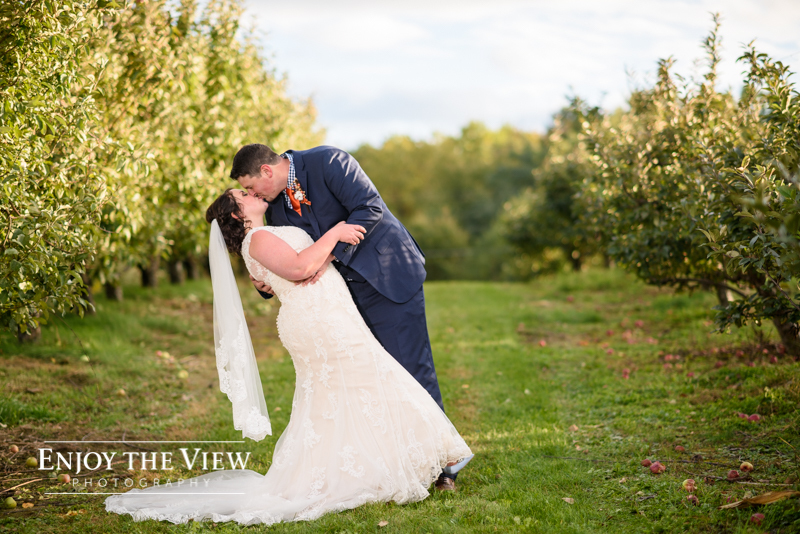 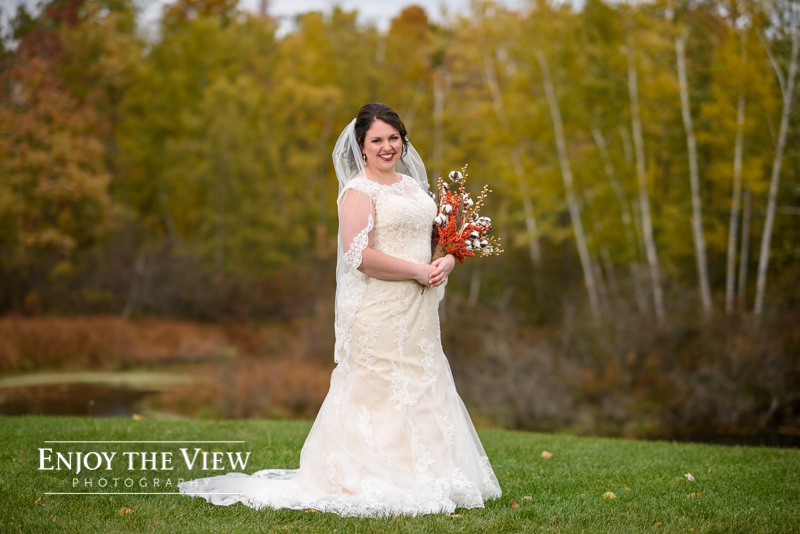 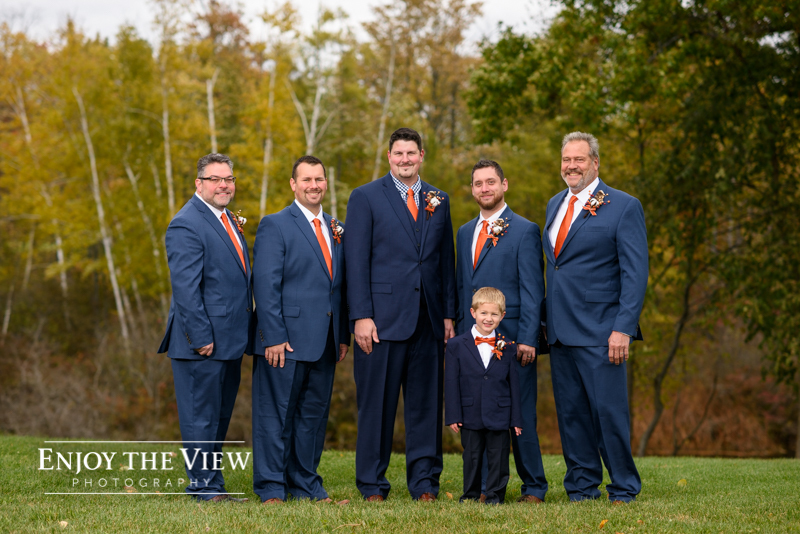 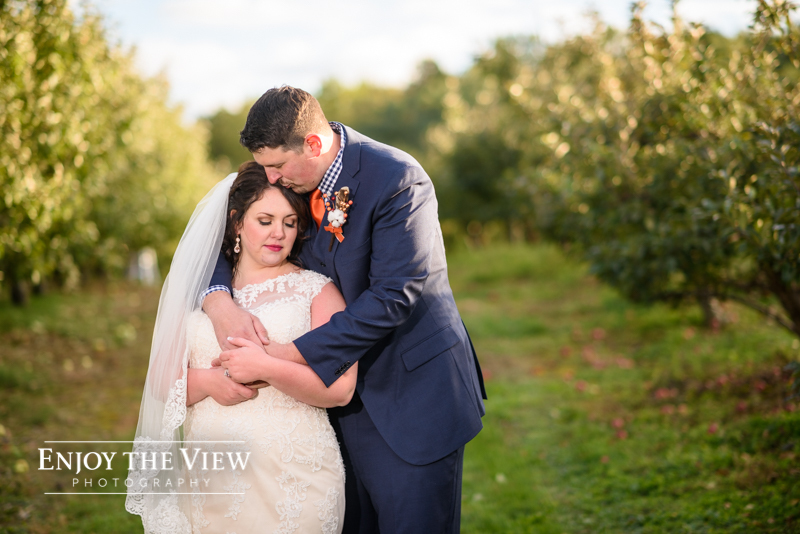 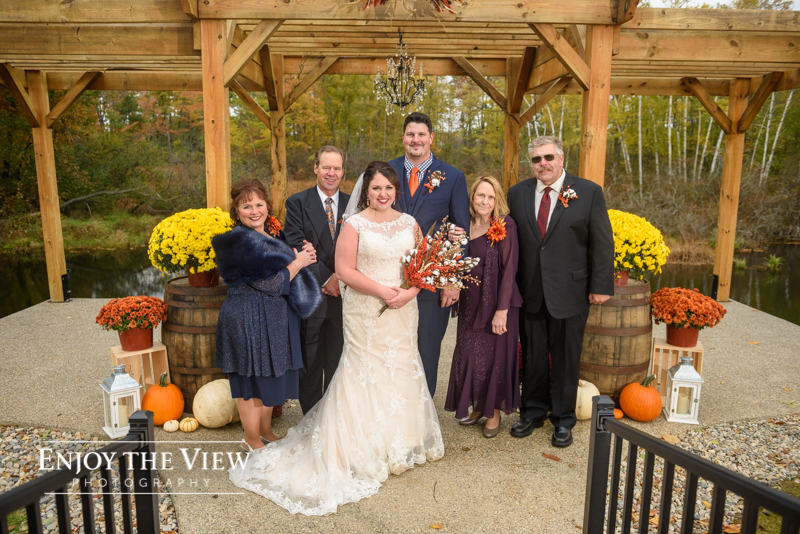 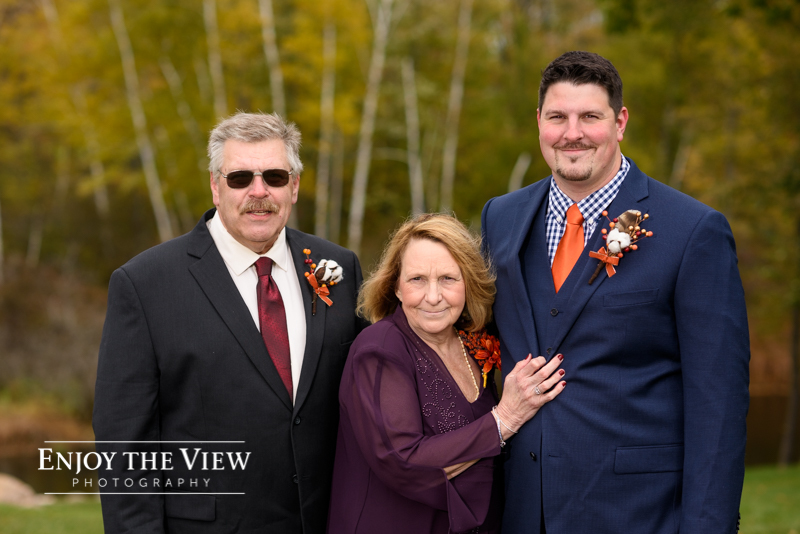 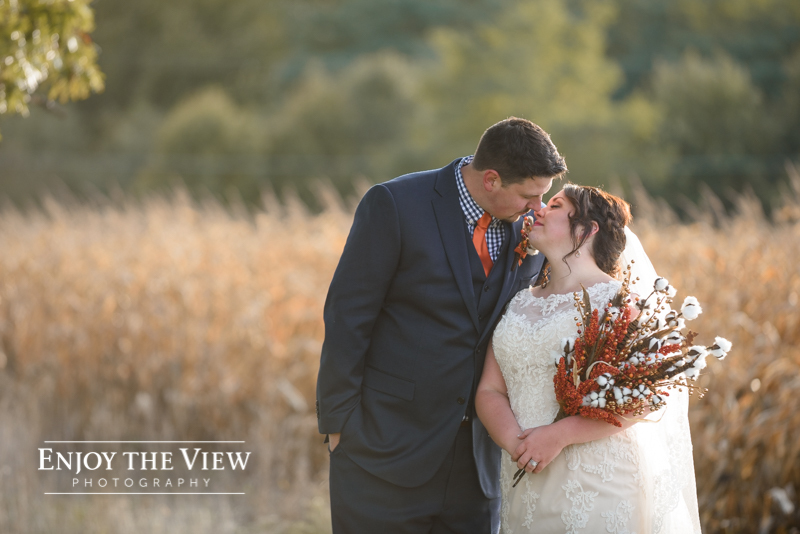 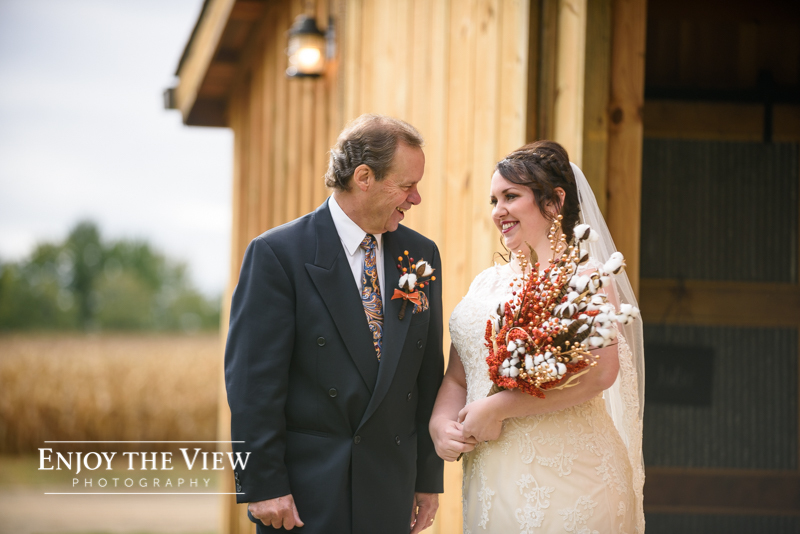 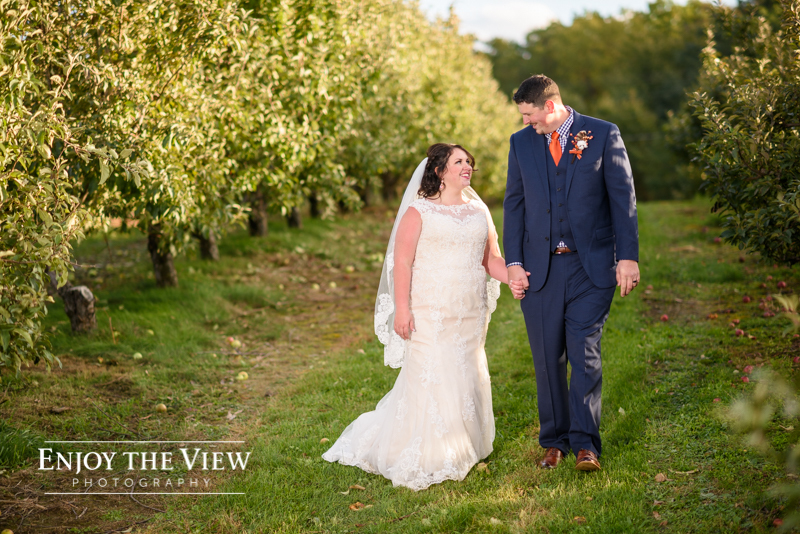 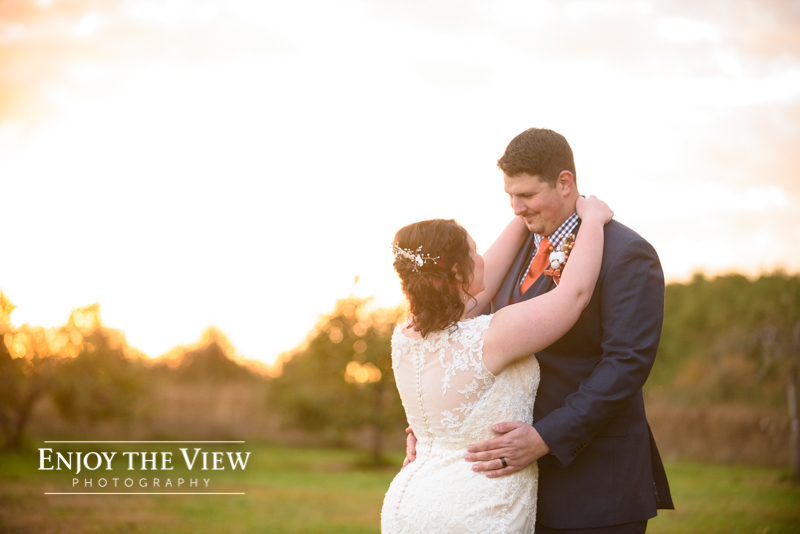 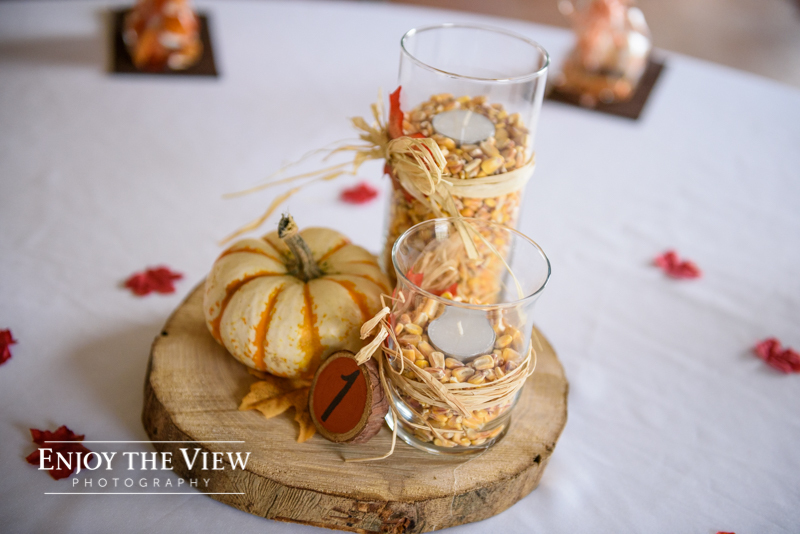 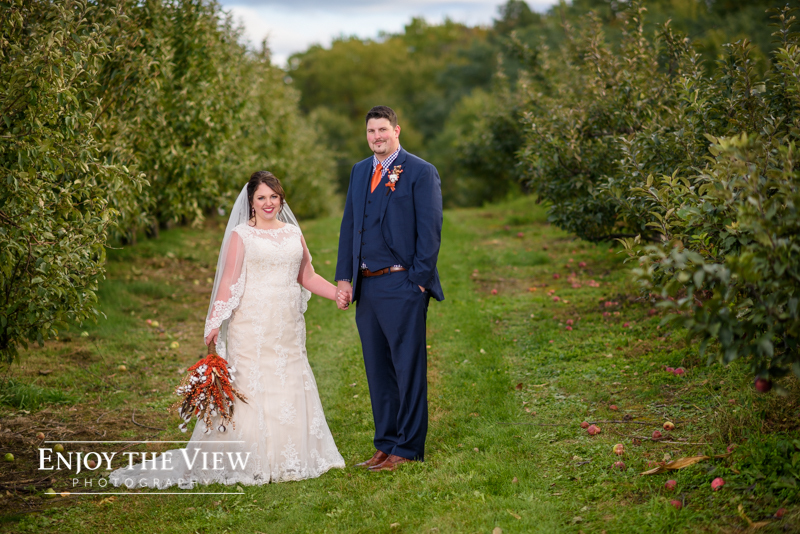 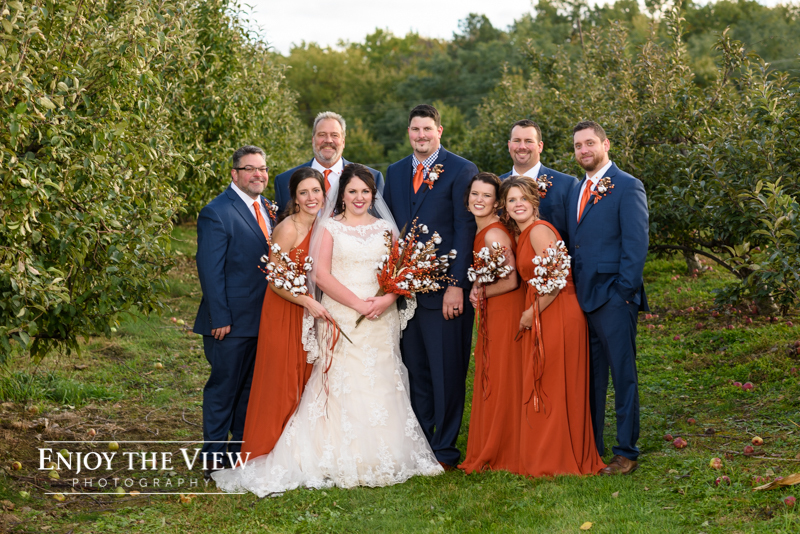 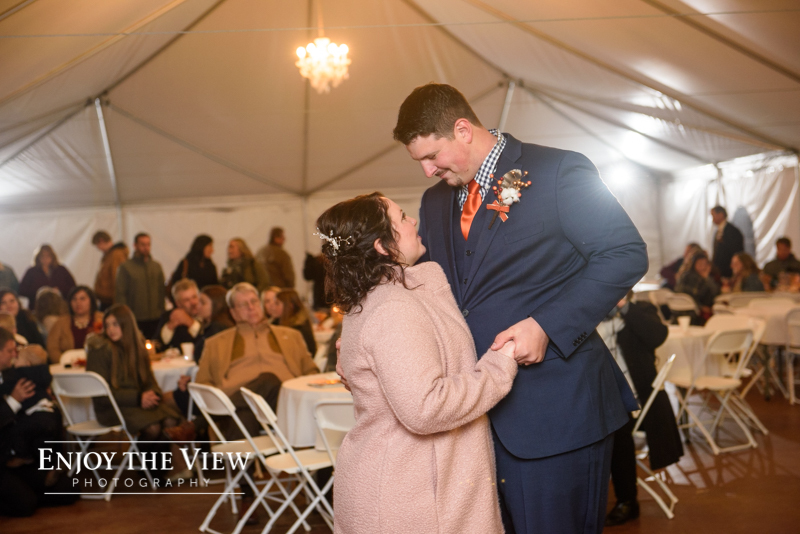 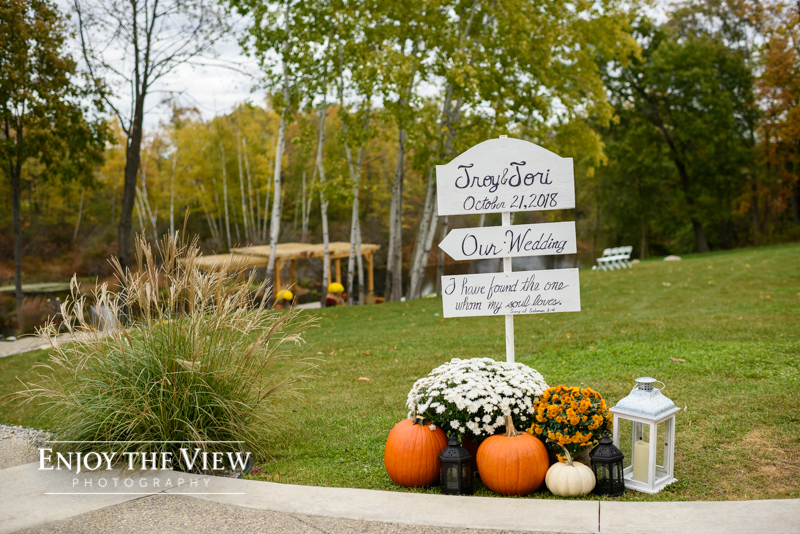 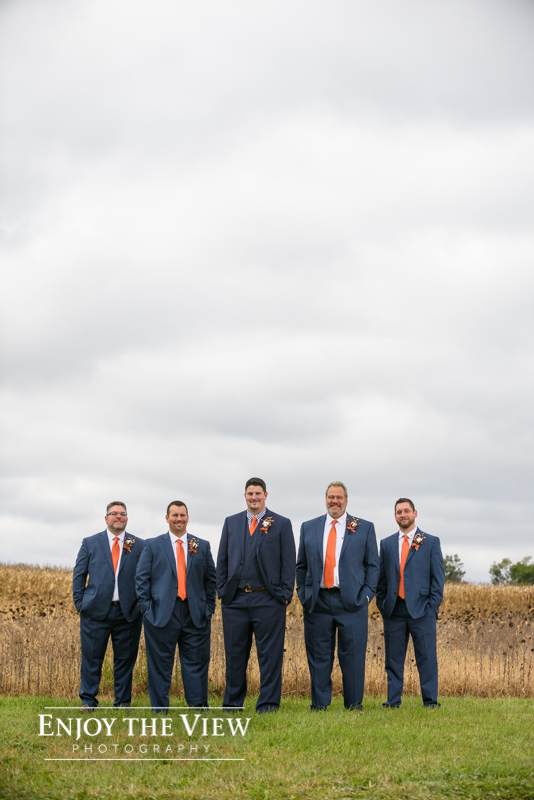 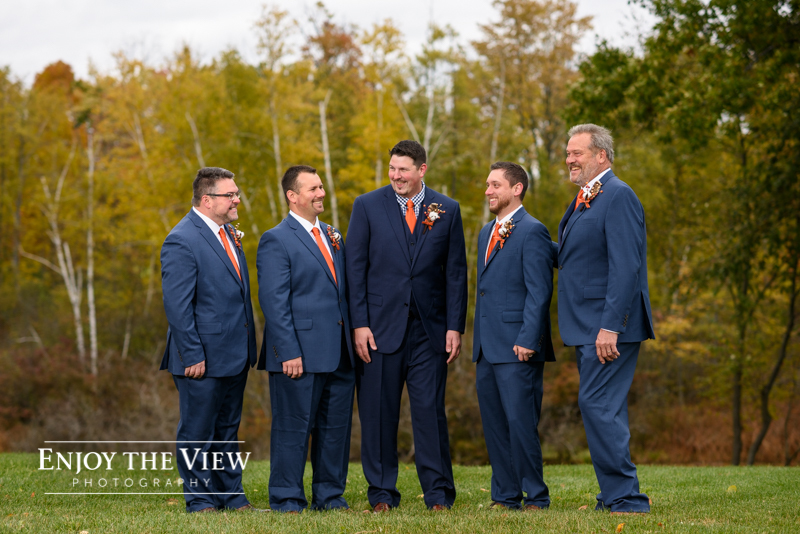 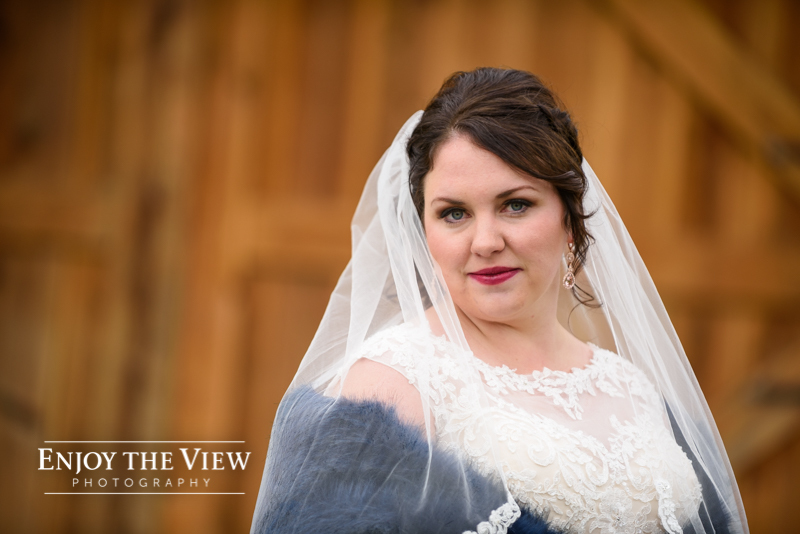 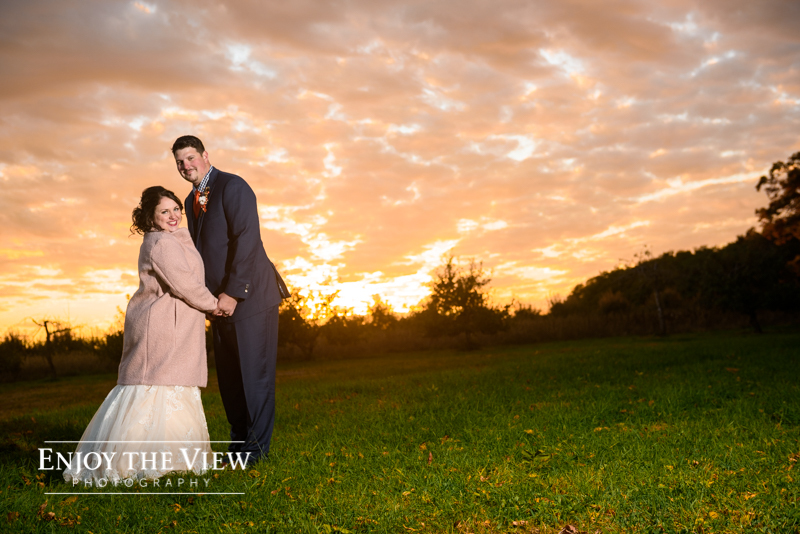 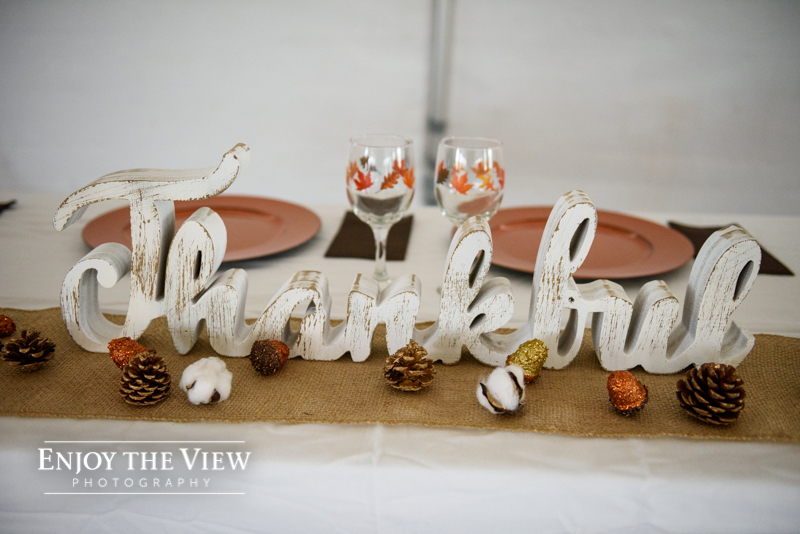 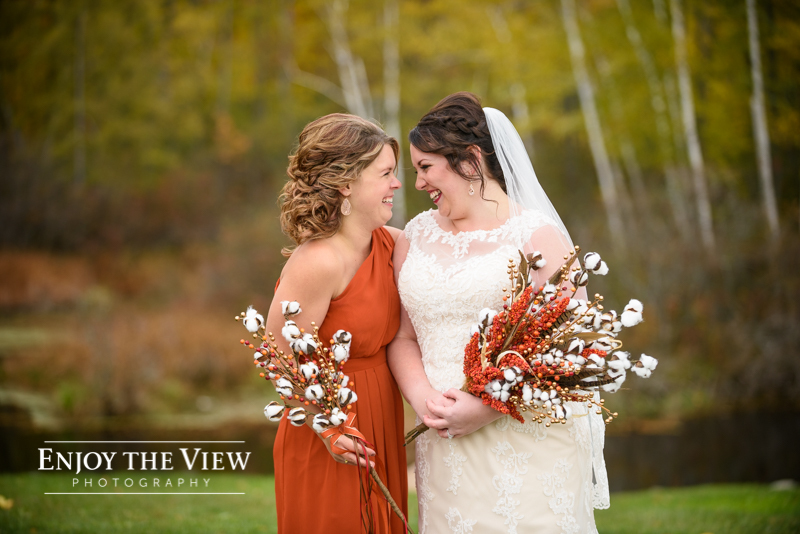 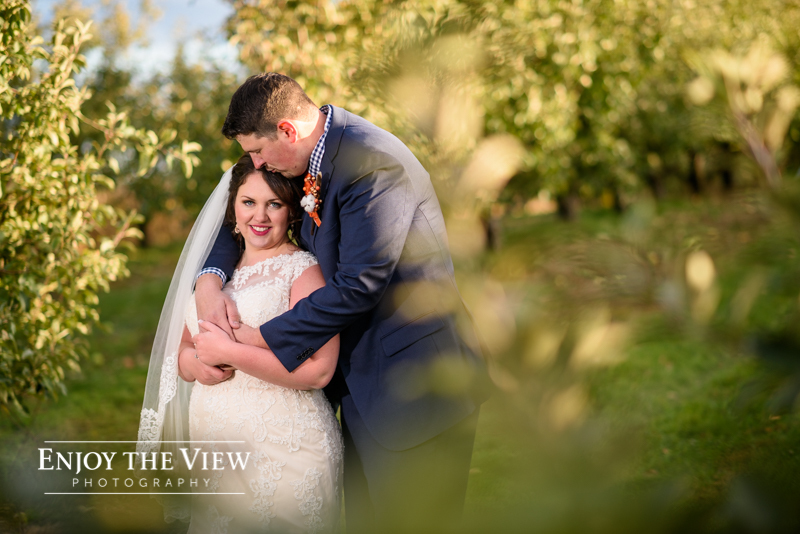 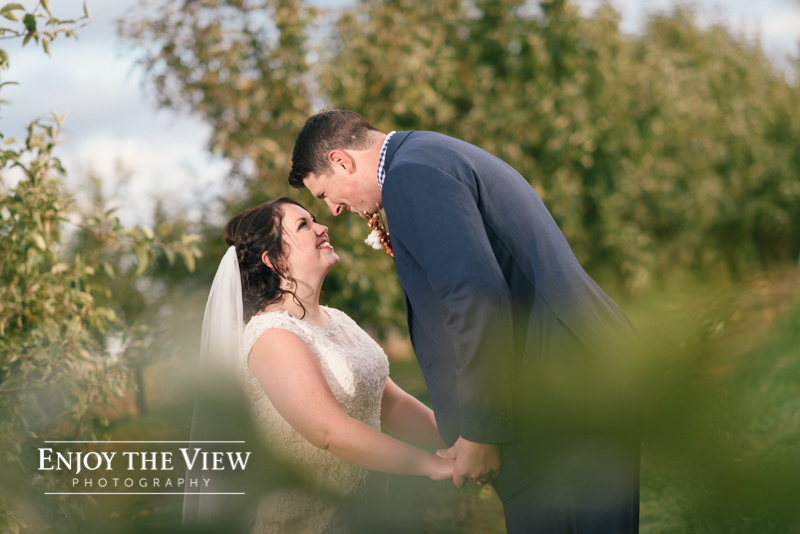 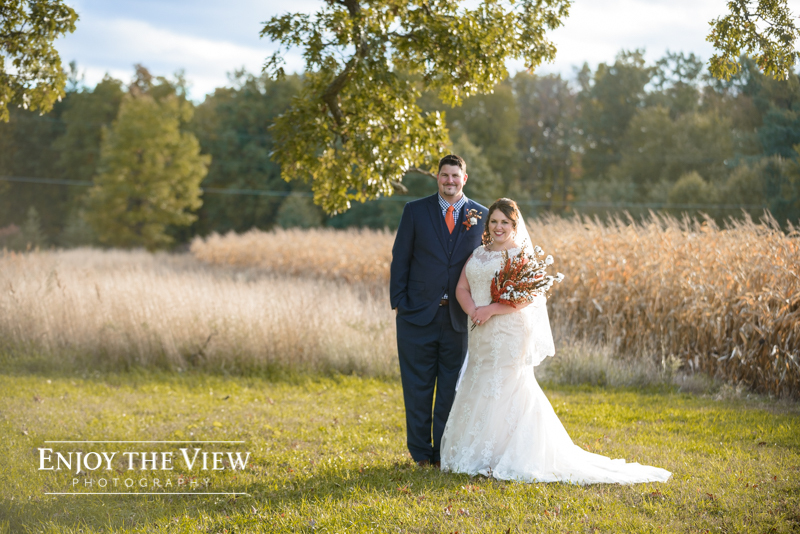 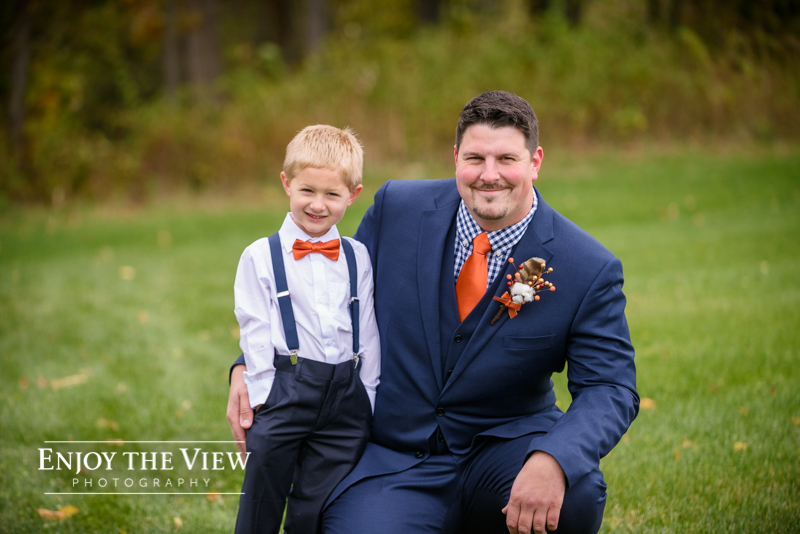 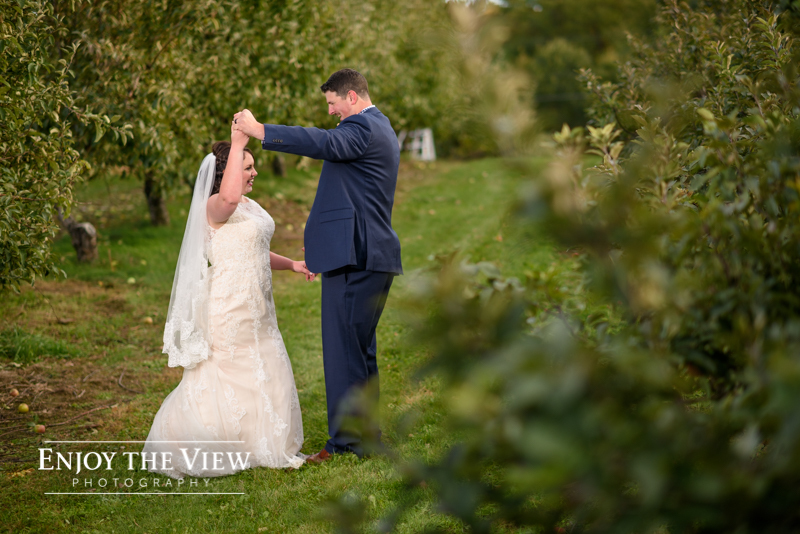 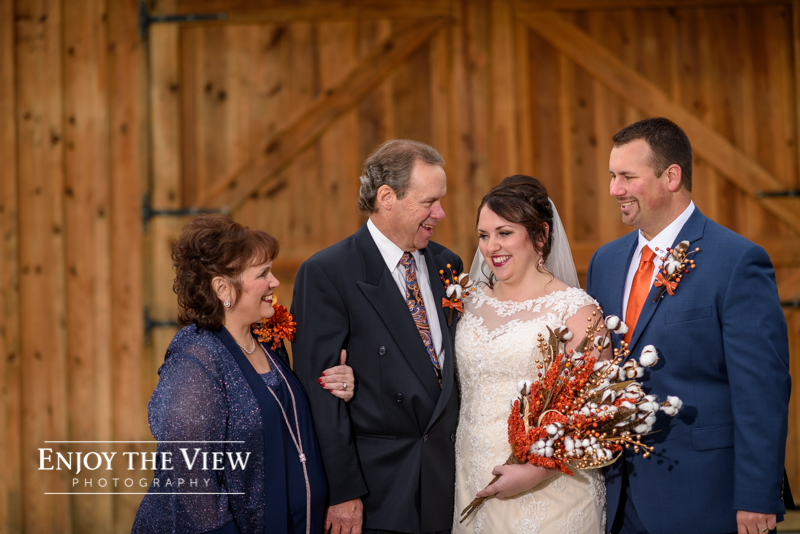 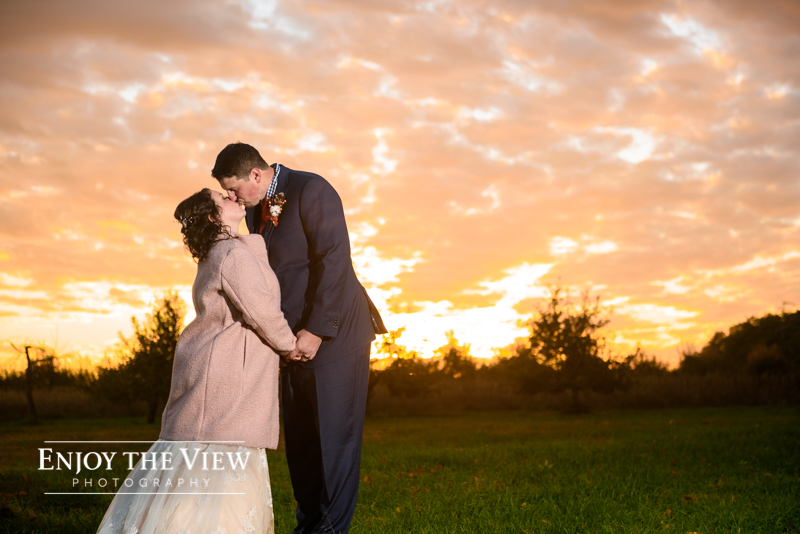 Tori & Troy had a gorgeous wedding on a chilly fall day in October. 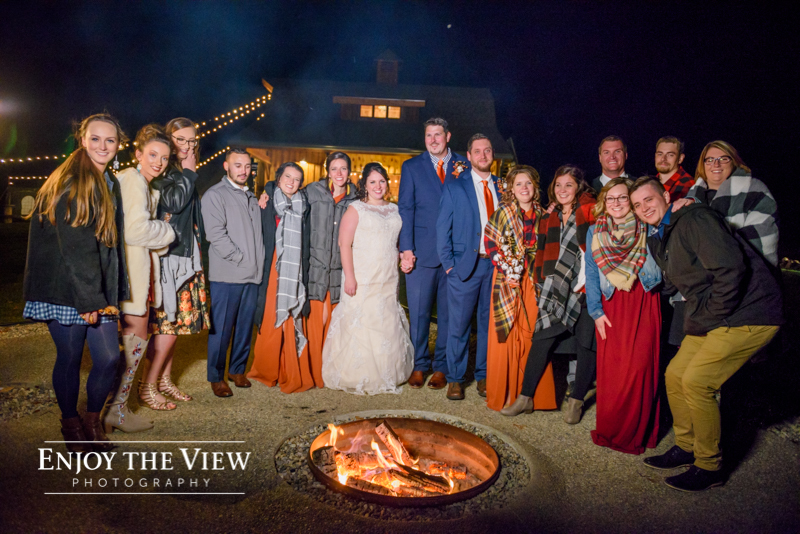 They are friends of ours, which makes a job that we already love even better! 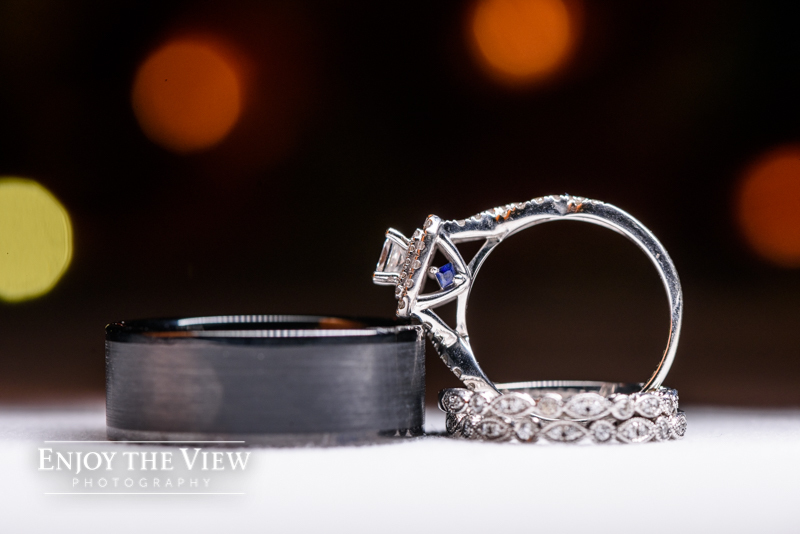 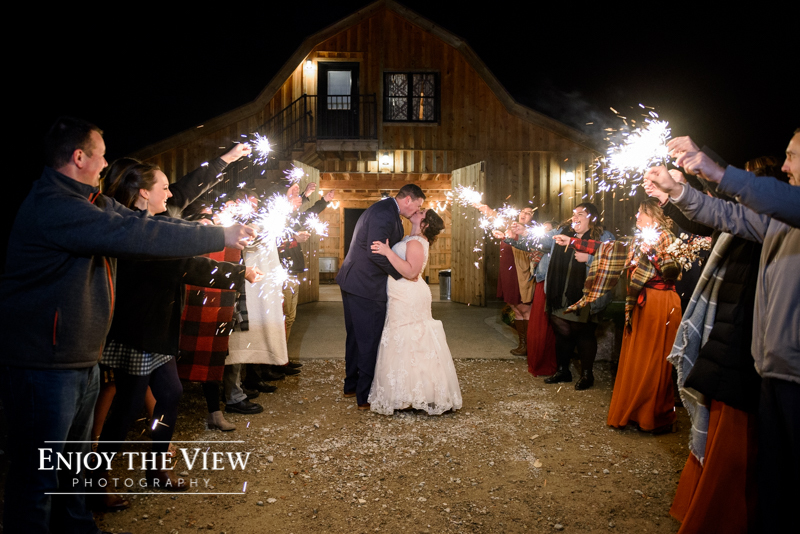 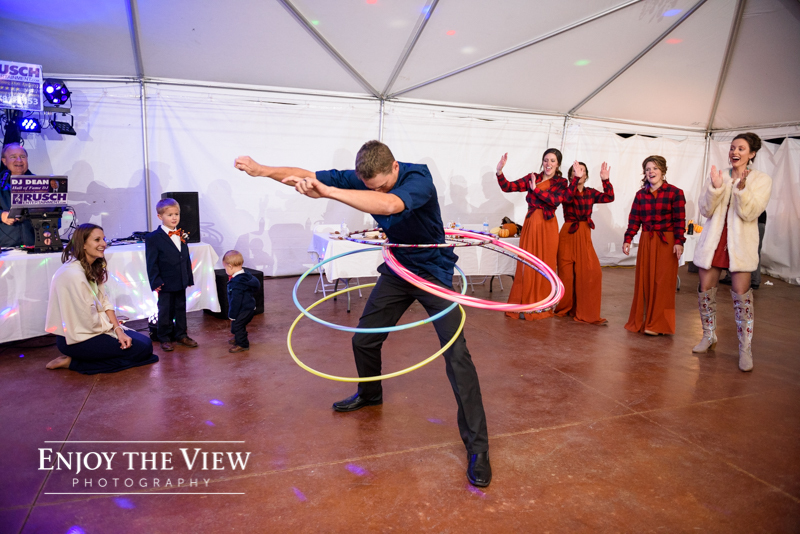 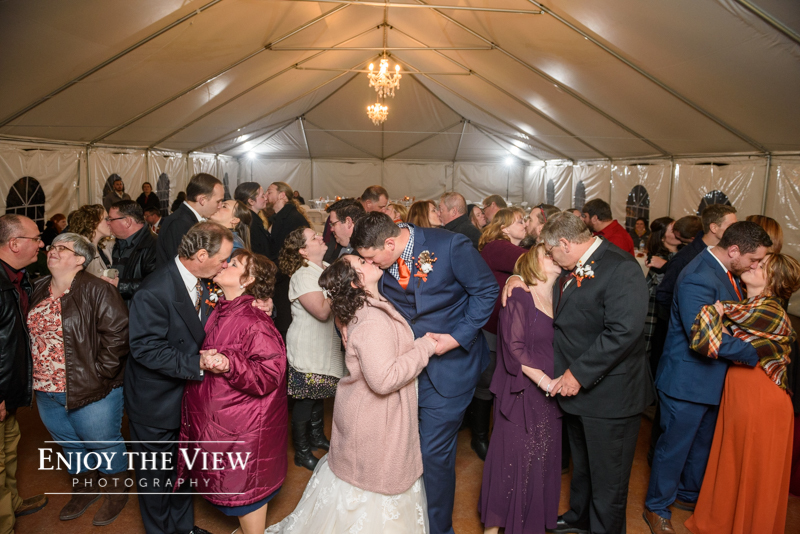 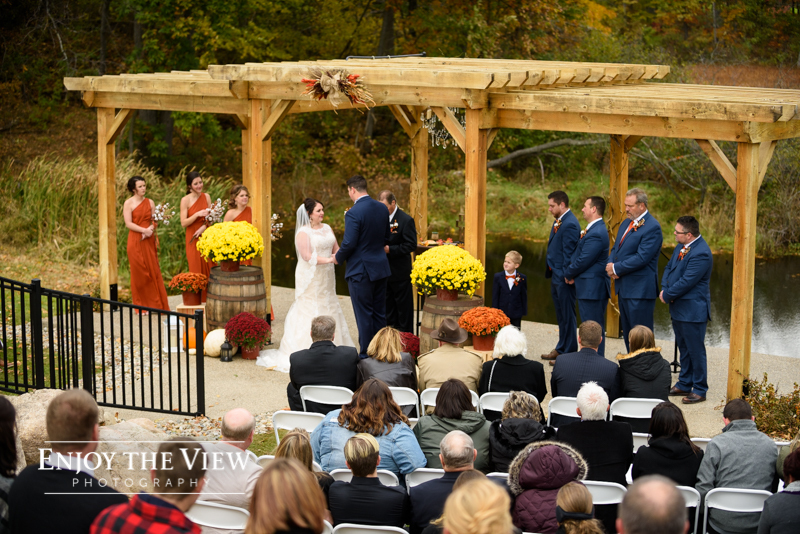 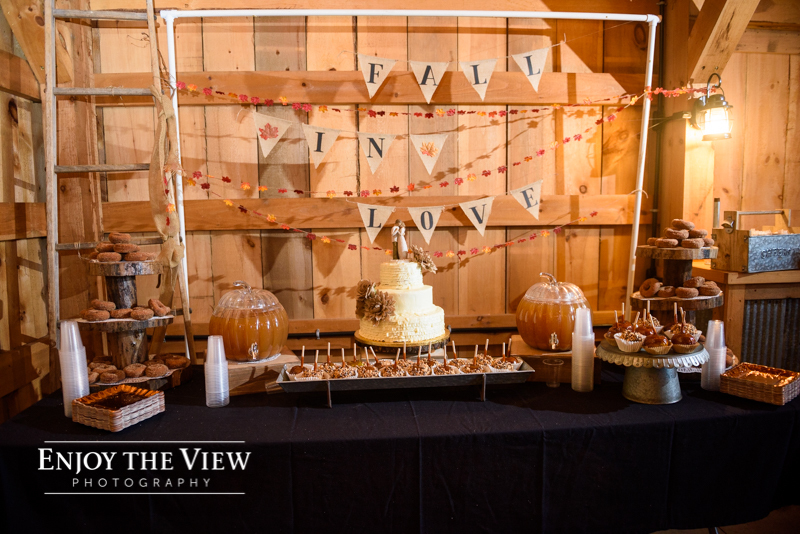 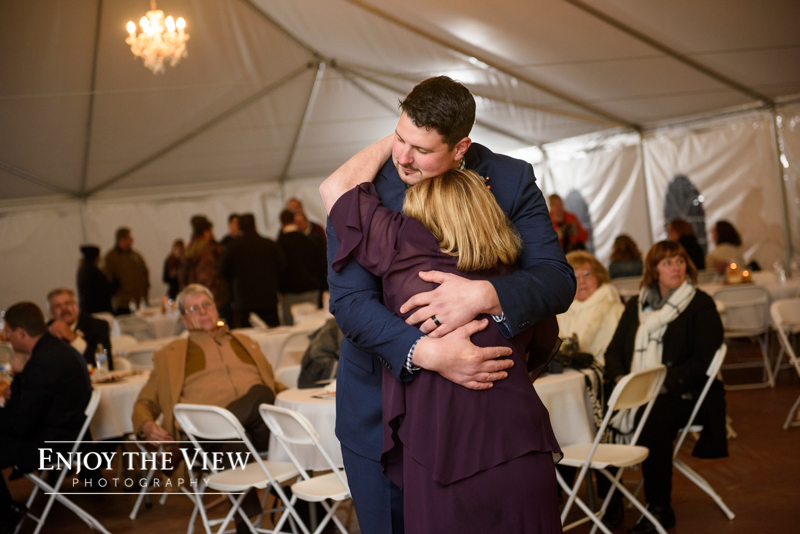 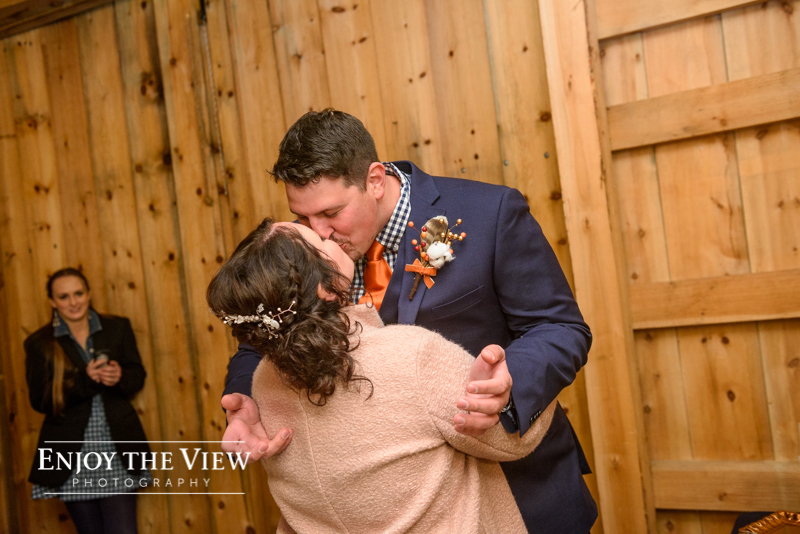 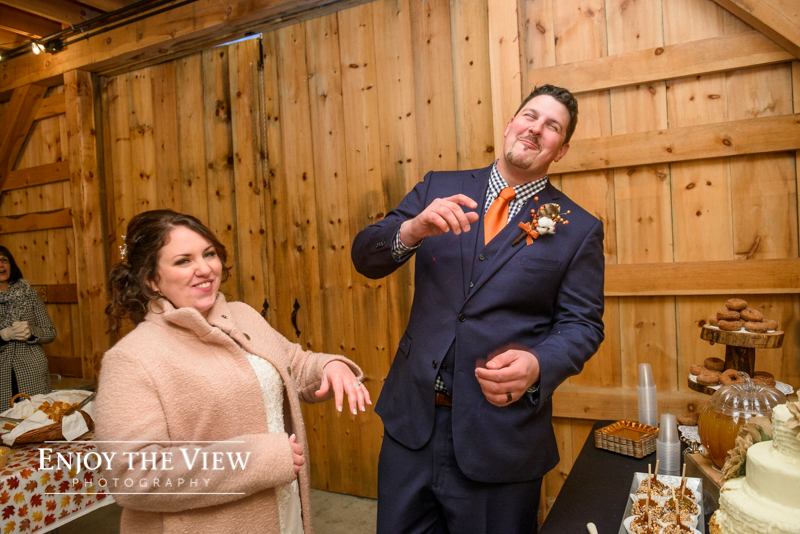 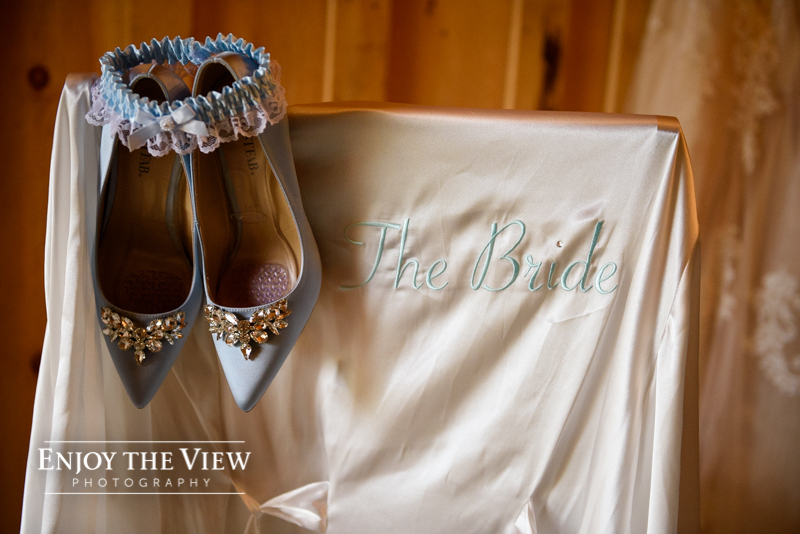 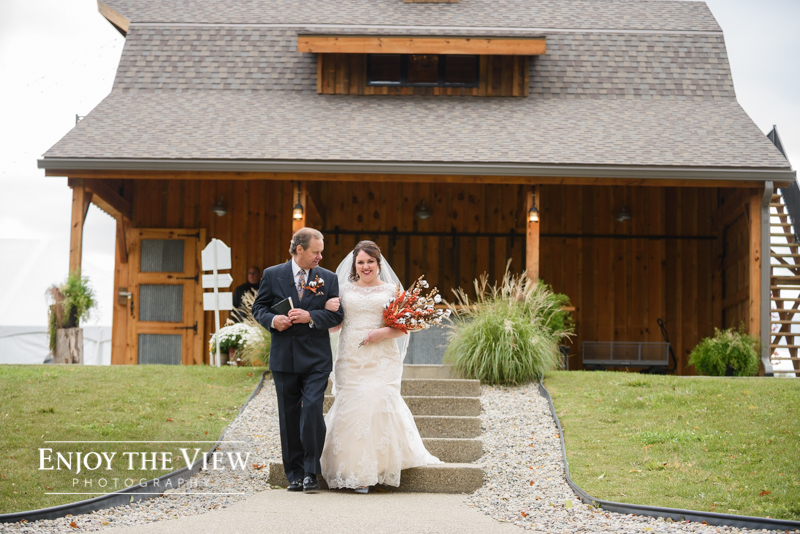 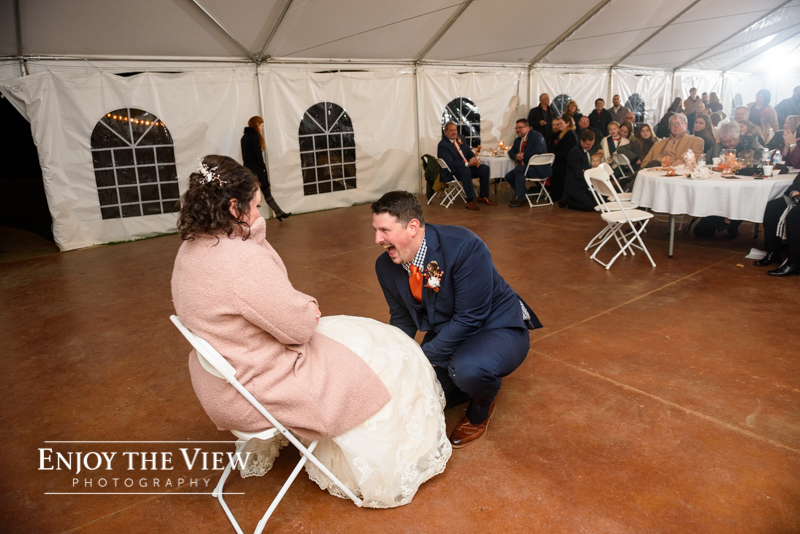 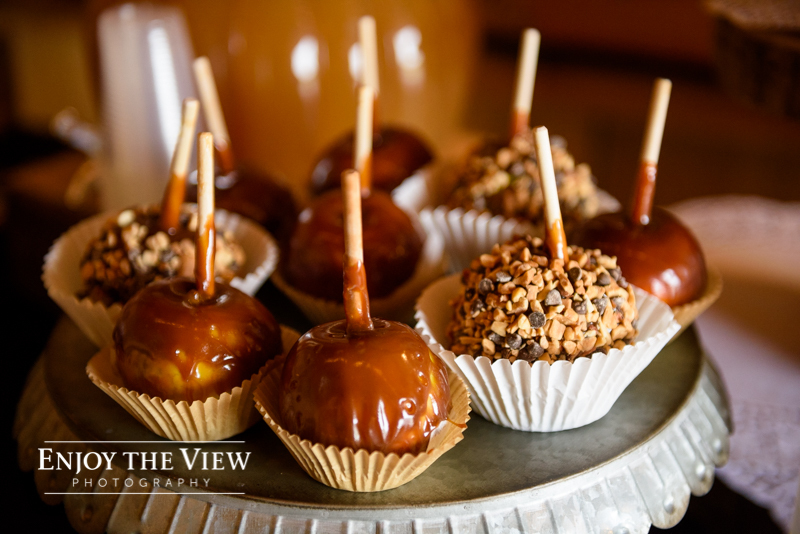 They chose Birchview Weddng & Event Center in Linden to host both their ceremony & reception. 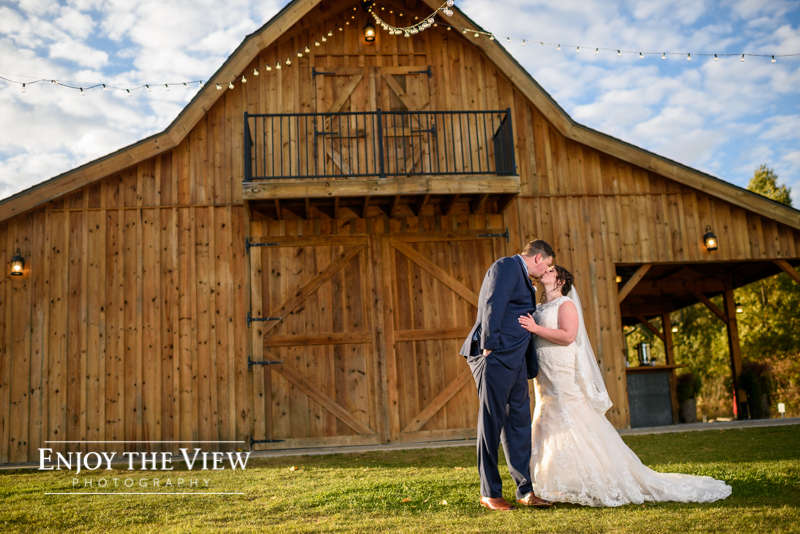 This was our first time at this venue and it is absolutely beautiful! 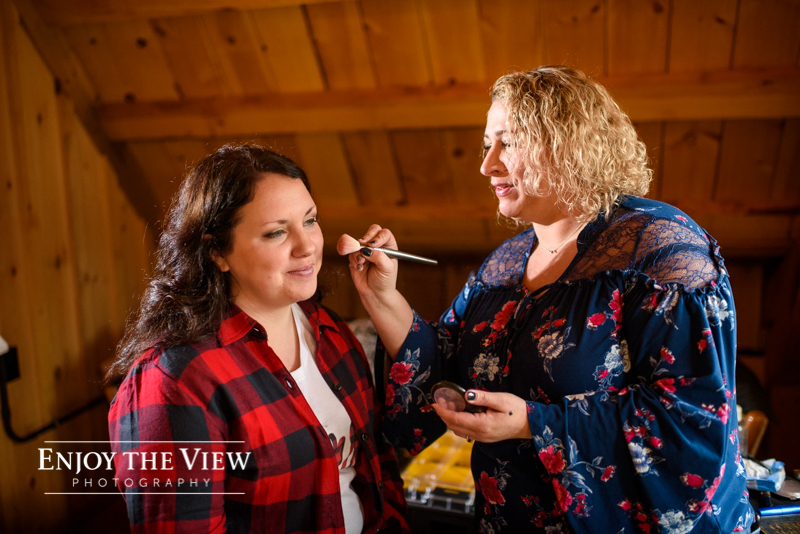 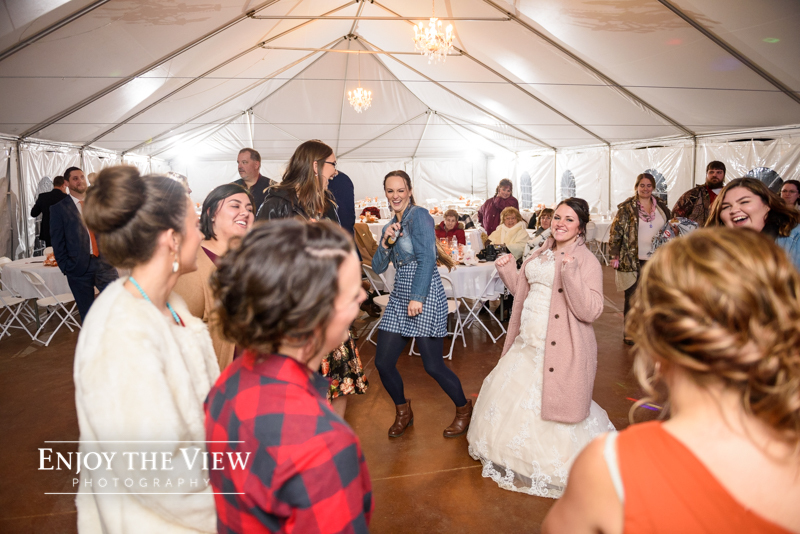 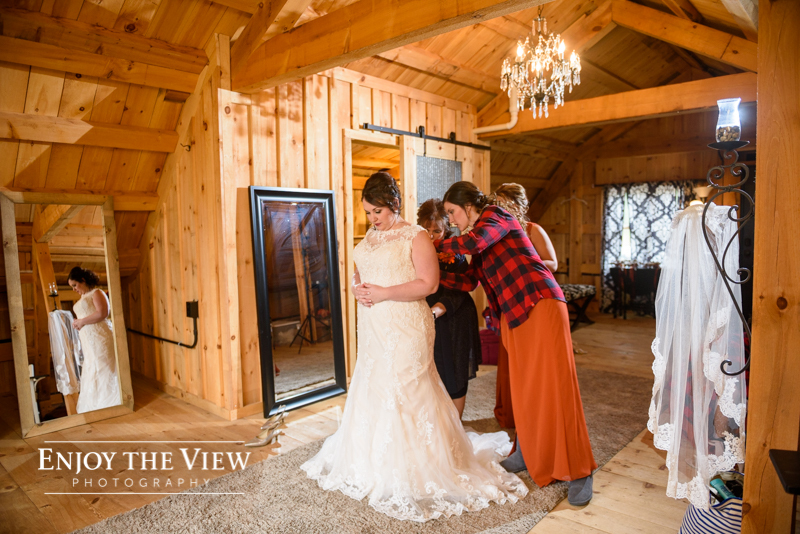 They have a cute bridal suite for the girls to get ready (the bride opted for onsite hair and make-up), a small barn to house the food & desserts, a designated outdoor ceremony spot, and a spot for a tent with a cement floor. 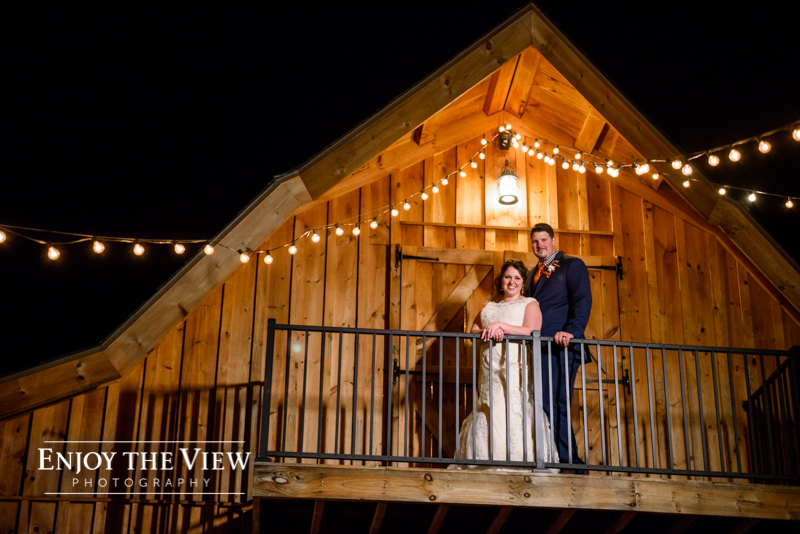 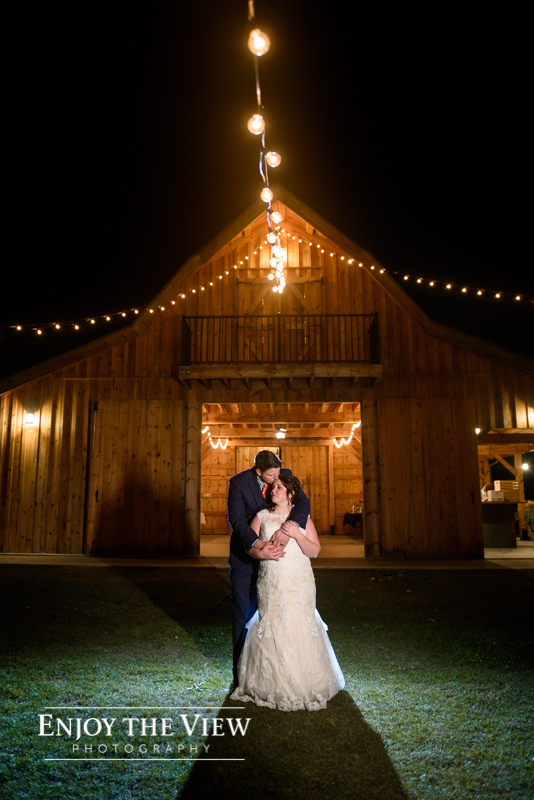 It’s a wonderful option for couples that want a barn look in their photos, a natural backdrop for their ceremony, and a tented reception. 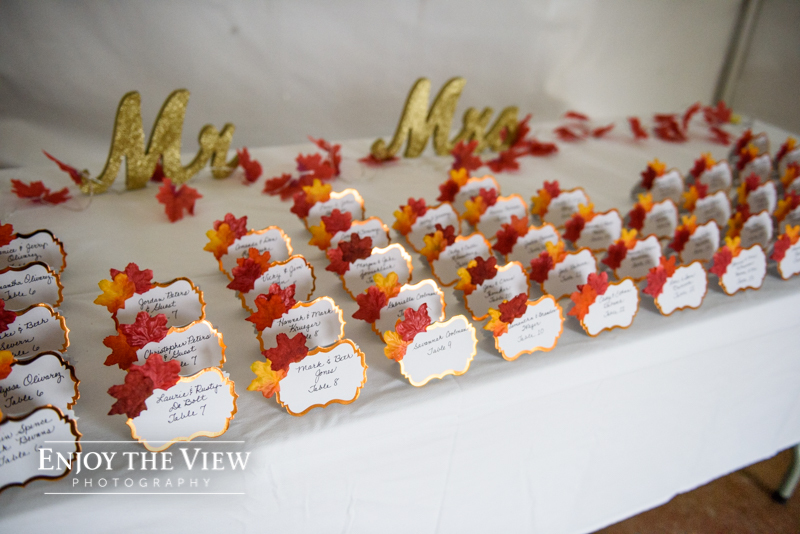 Tori made her own bouquets and the table decorations at the reception were super unique and cute. 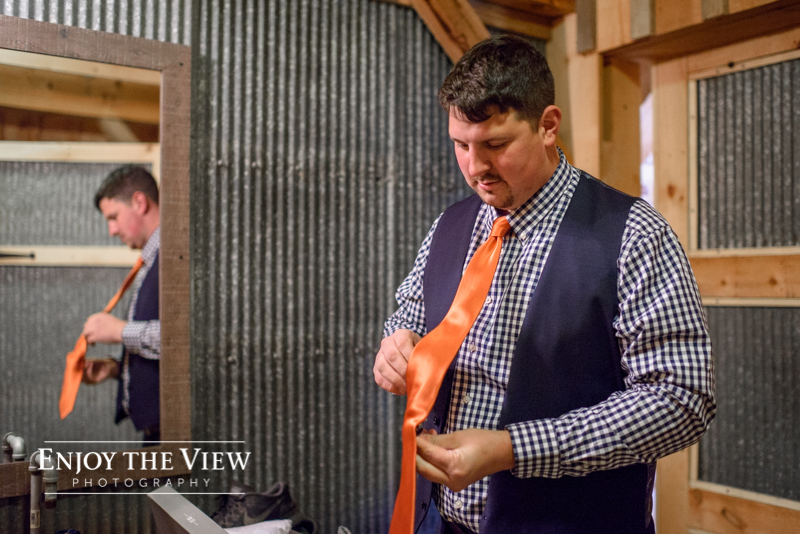 The groom’s attire came together perfectly. 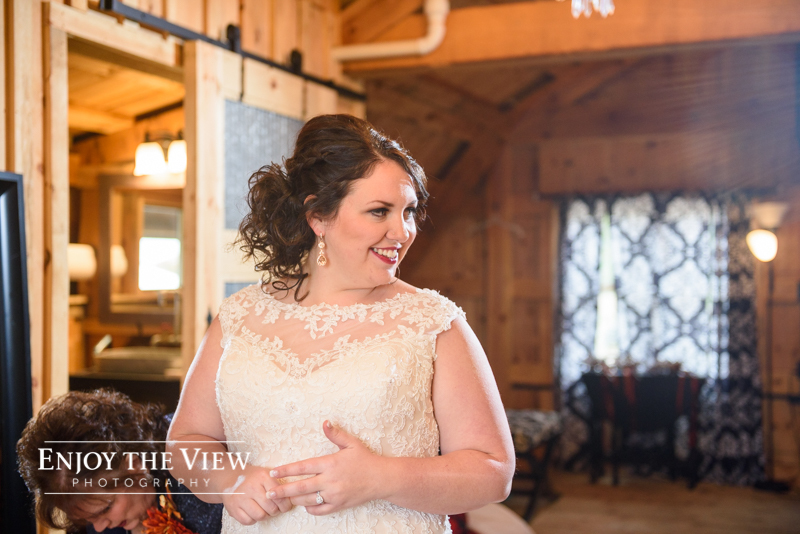 And the bride’s look…we don’t even need to say how gorgeous she looked, we’ll just let the photos speak for themselves! 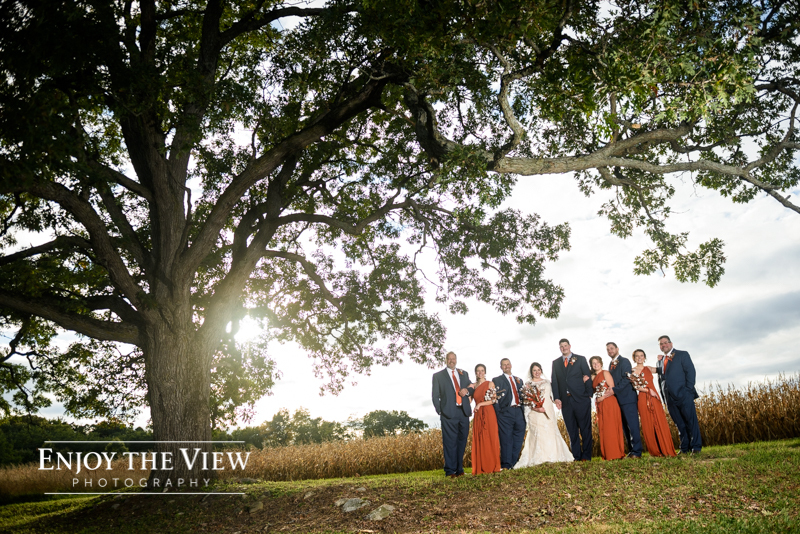 Everything about their day coordinated so well and made for a polished, beautiful wedding. 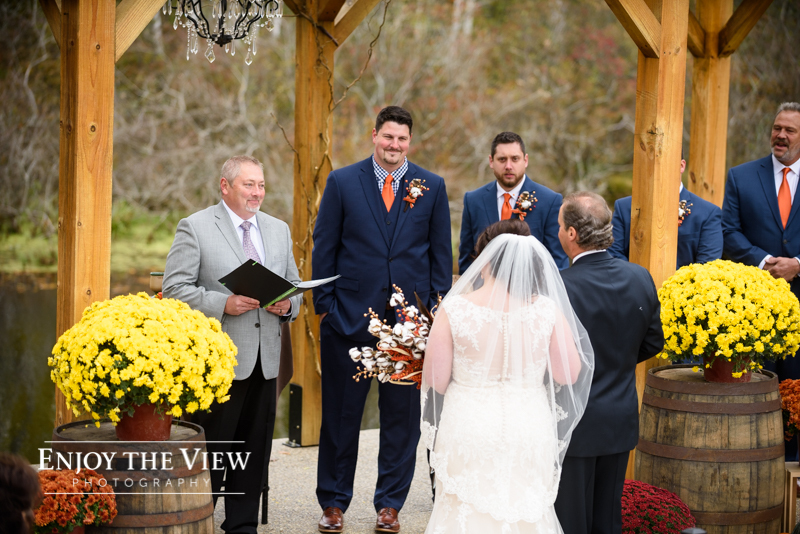 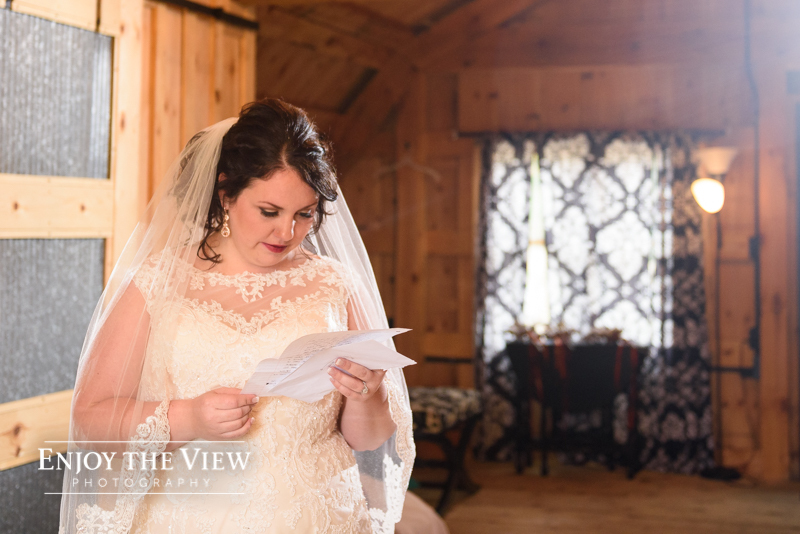 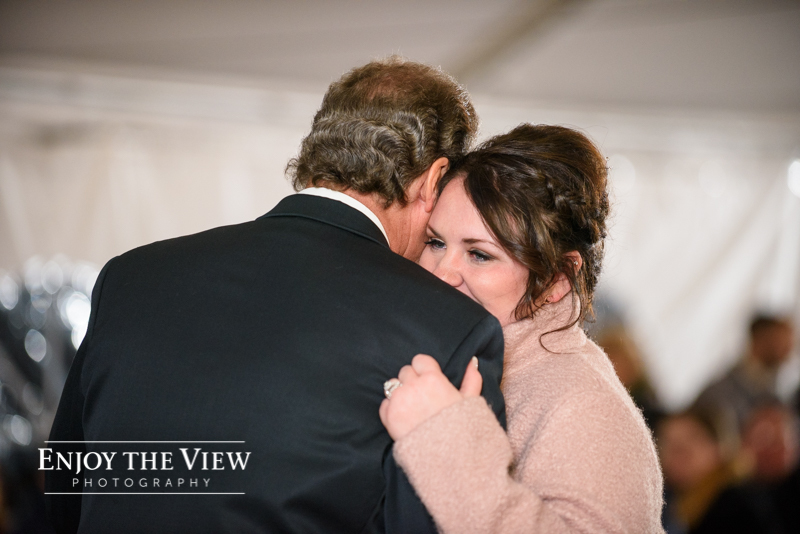 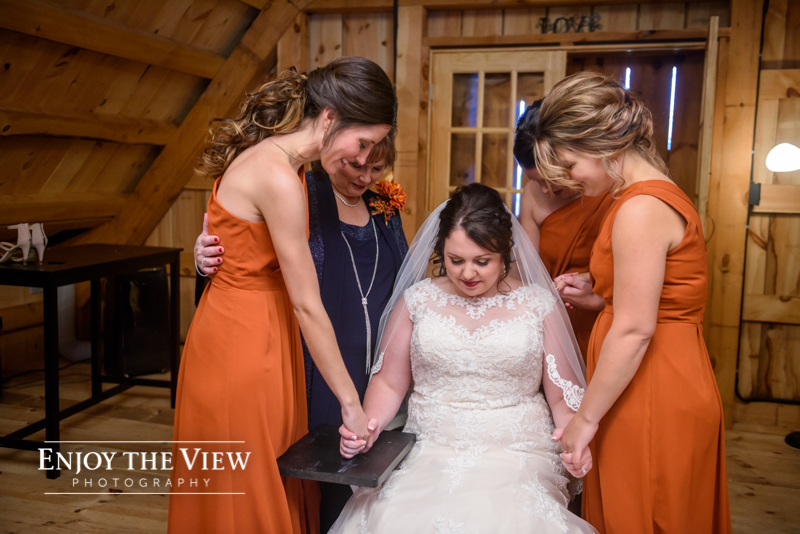 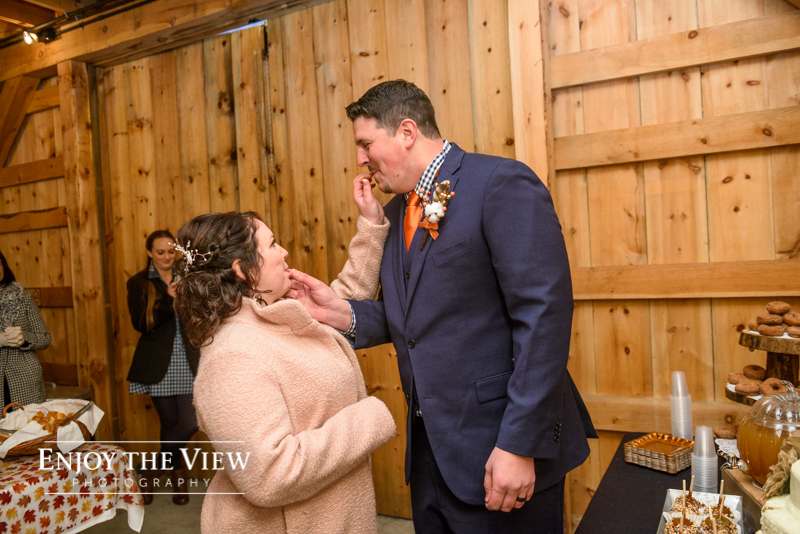 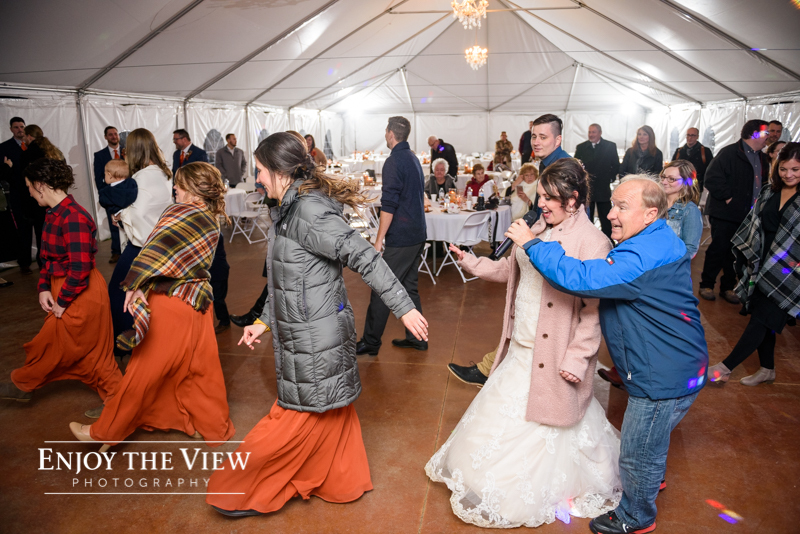 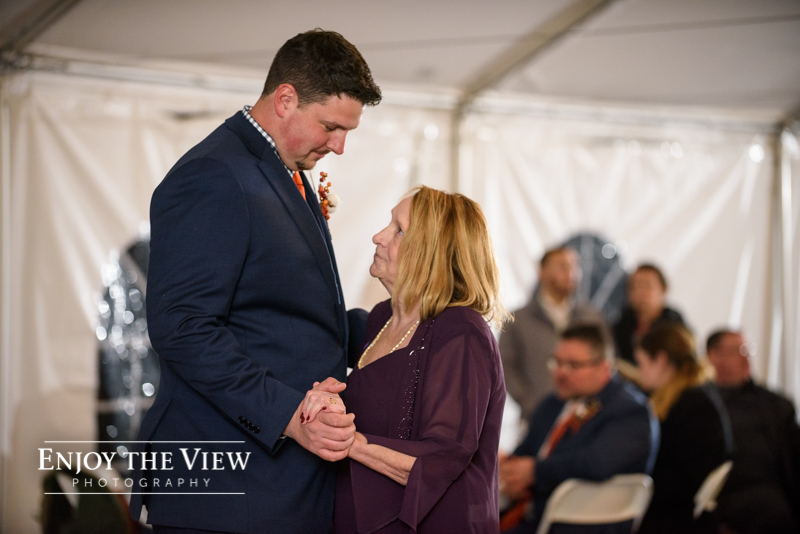 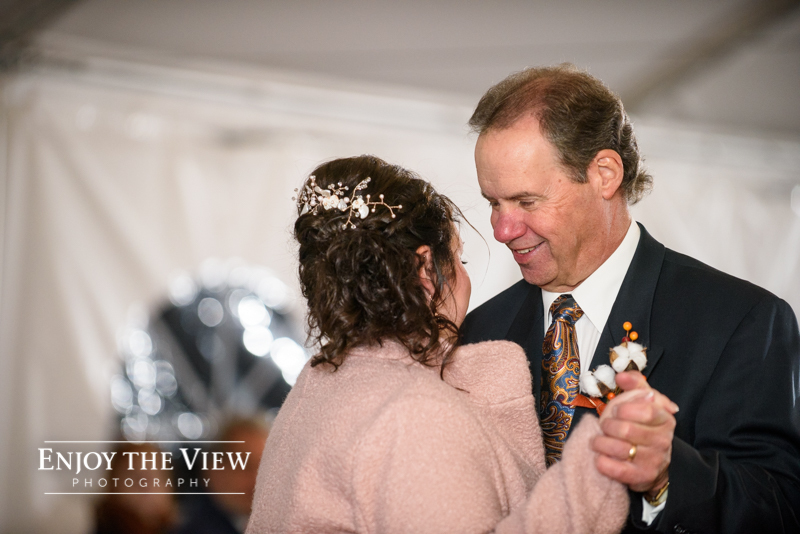 Their ceremony was full of personal touches: Tori’s dad officiated and her brother sang a solo, the couple shared communion and assembled a unity cross. 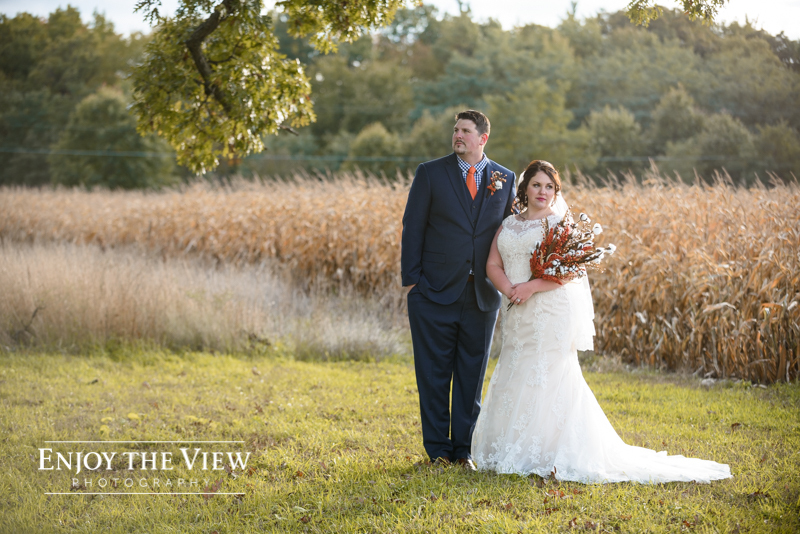 Following the ceremony we were able to explore the property on a hay-wagon ride. 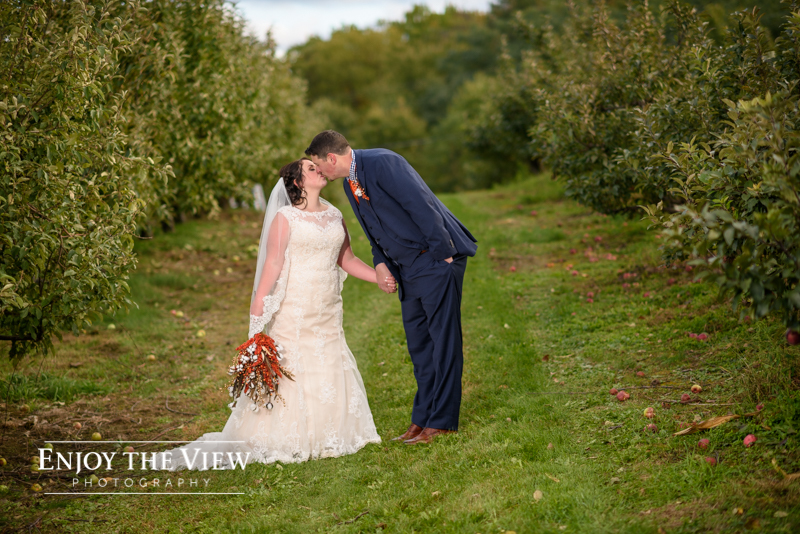 We stopped at a ginormous oak tree and then in the apple orchard for some photos. 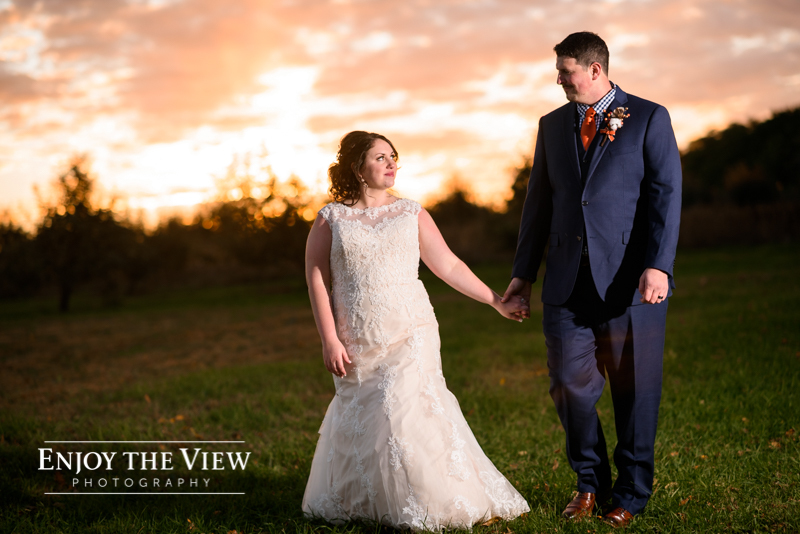 Following dinner we were blessed with an incredible sunset and we stepped out with the couple to get some breathtaking photos. 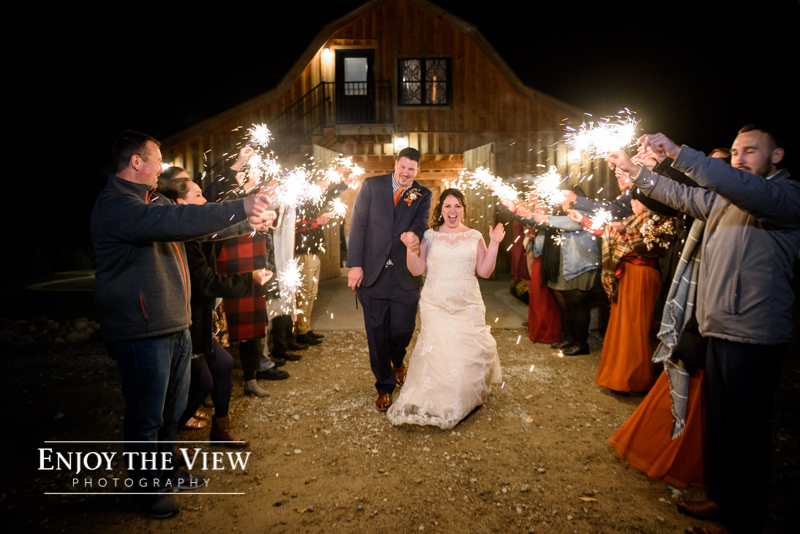 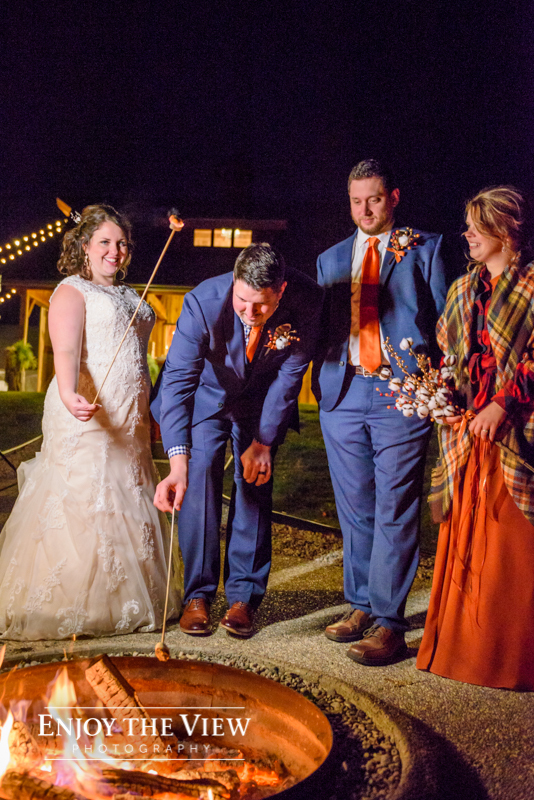 We topped the evening off with dancing, dessert, roasting marshmallows over a bon-fire, and sparkler photos! 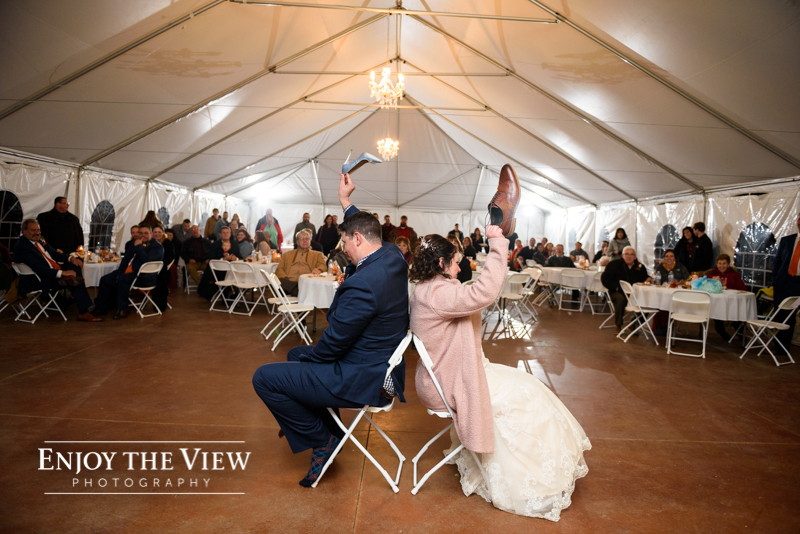 What a wedding!! 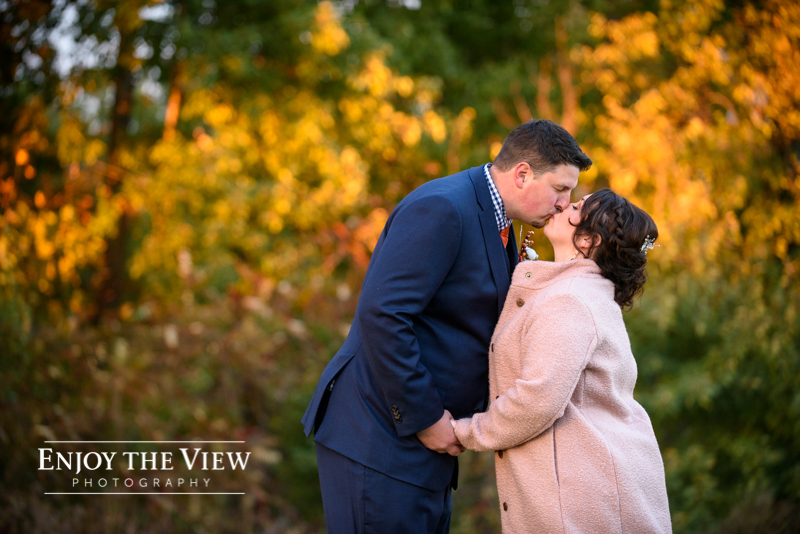 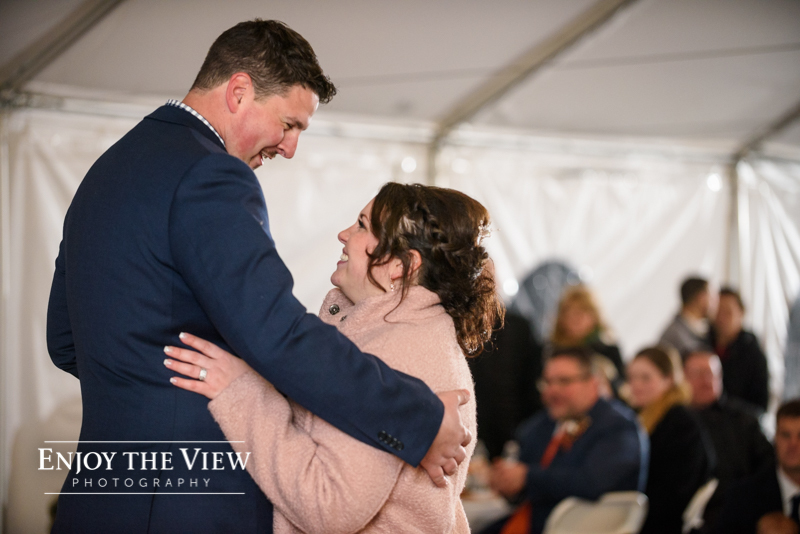 We already adore this couple but from a photographer’s standpoint it was SO MUCH FUN working with a couple that is totally into having their picture taken and absolutely up for anything we suggested!